Is There a Statute of Limitations For Recovering Unpaid Wages, Overtime, And Tips? The Fair Labor Standards Act (FLSA) protects you against unfair practices by your employer, including improper payment of wages, overtime pay and tips. While we advise that you consult with New York labor law attorneys about your specific case, in this post we cover some background information on the statute of limitations and how it applies to the FLSA. The FLSA sets minimum wage rates and overtime rules for employees, subject to some eligibility exceptions. Minimum Wage: Employers must pay the federal minimum wage of $7.25 per hour, though individual states can set a higher rate. In New York, the minimum wage is currently $10.50 to $11.00 hourly, an amount that increase incrementally to $15.00 per hour over the next few years pursuant to recent regulations. Tipped Employees: If you make more than $30.00 per month in tips, your employer must pay a minimum wage of $2.13 per hour. Overtime Requirements: Employers are required to pay overtime to employees that work more than 40 hours in a week. The rate is 1.5 times your regular pay for every hour you work in excess of 40 during a seven-day period. 3. You make more than the salary threshold. 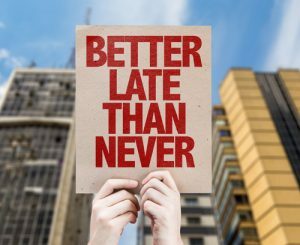 So even if you’re not eligible for overtime pay now because make more than $23,660 yearly, should the currently halted overtime ruling pass, you may qualify in the future when you work more than 40 hours per week. You can file a claim with the Department of Labor or sue your employer directly to recover unpaid wages. You must bring your claim within two years after you become aware that your employer violated provisions of the FLSA. In the case of a “willful” violation, you have three years to take action against your employer. In New York, the corresponding Labor Laws allow workers to file claims for up to six (6) years after a violation. If successful in proving your case, you may recover back pay that your employer owes, plus an equal amount as liquidated damages. In a private suit, you may also receive reimbursement for attorneys’ fees and court costs. It is always best to contact an attorney as soon as you believe your rights may have been violated, even if you are still employed. There is no charge for consulting with an attorney and the consultation is confidential, so your employer will not know. You have the right to file a lawsuit for unpaid wages when your employer has failed to issue proper payment for overtime or tips, but you must do so before the designated time period expires. Our team of experience labor law attorneys will fight for your rights and pursue a case against your employer, within the proper statute of limitations. To see whether you can still sue for unpaid wages, please contact the wage lawyers at Cilenti & Cooper, PLLC. Our firm is centrally located in Manhattan and serves all boroughs including Manhattan, The Bronx, Brooklyn, and Queens.